Update: This is currently on hold. We are attempting to hold this course in the Winter. Ever wanted to learn the Arabic Language? Can’t travel abroad? 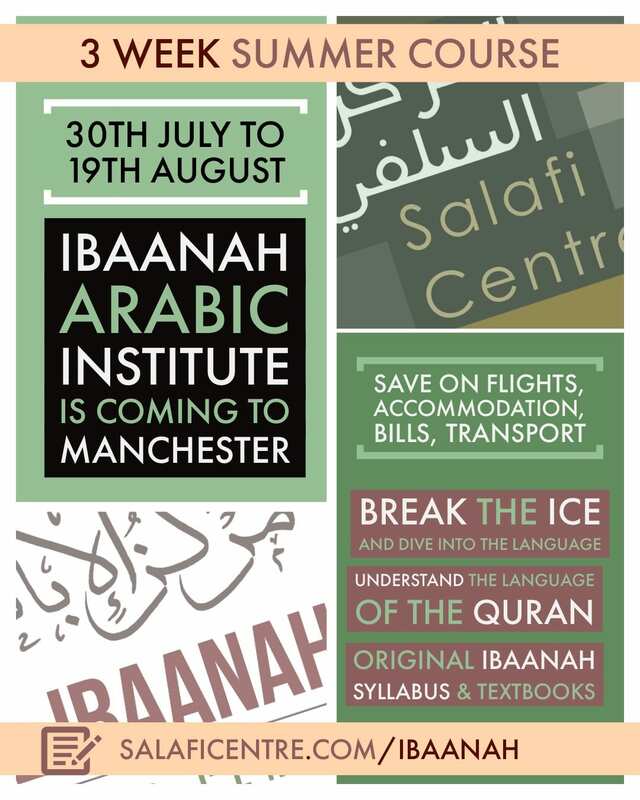 Al Ibaanah Arabic Institute is coming to Manchester to conduct an exclusive 3 week summer course. Don’t miss out! We are delighted to have the chance to offer their highly effective, time tested and solid Arabic course right here in the UK exclusively. An enjoyable authentic experience- just as one would have had if they travelled to Egypt! An exciting opportunity, that we hope will benefit the learner immensely; whilst saving travel, time and money! So don’t miss out on this chance to study the Arabic Language face to face with a highly qualified teacher – an opportunity you would only get by travelling to Al Ibaanah! Benefits of studying with Al-Ibaanah? This will be an exciting chance for people to finally break the ice and dive into the language; studying it in an immersive classroom. Ibaanah Arabic is known for giving students the confidence to converse in the language by bringing it to the front of studies. The Ibaanah program has been developed to provide students with the necessary foundation and training needed to enhance rapid learning along with gradual skill building techniques. The focus of the program is to provide a complete foundation in the Arabic language, equipping students with all the necessary components for understanding and usage. This course will aid the student in many aspects of their religion; it will provide the student with the opportunity to gain a deeper understanding of the Quran, Sunnah, increase khushoo during the prayer, be able to listen to Arabic lectures, attend sittings of knowledge held by the Scholars and understand, read both secular and religious texts (modern and classical) with strong comprehension, write and speak correctly, applying the principles he/she has studied. Please note that this is a full and proper course; designed to give maximum immersion and benefit to the student. As such you would study for a good number of hours weekly, with homework. Spaces will be limited and it’s a first come first serve basis. Your Arabic journey won’t end once you’re done. 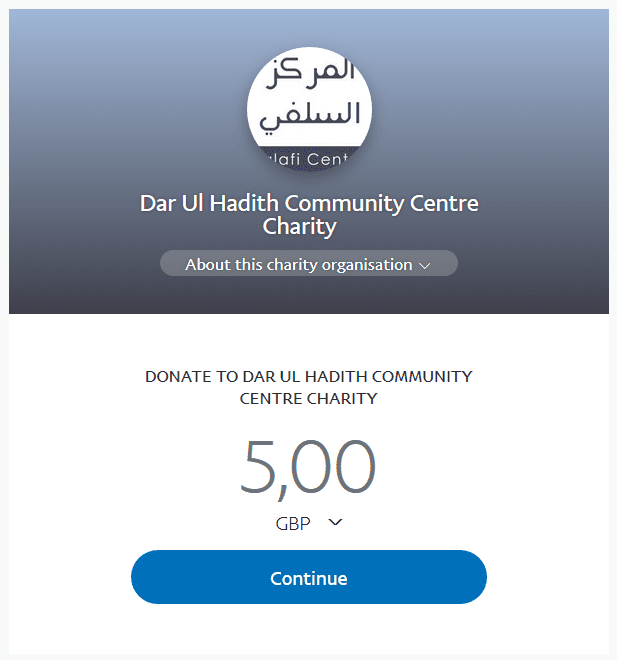 As the course is linked to the Al Ibaanah centre; you will be able to continue online or onsite abroad; and in future again in Manchester in shaa Allaah. What we hope though is that you will become confident in the language, gaining small insight into this beautiful langugae; the languae of the Qur’an. From then on you will be able to understand parts of the Qur’an when reading it, or understand ahadeeth or the khutbah even at a masjid in Arabic inshaaAllah. Please note: We can not guarantee that everyone will be accepted. We will look at every application though, until the spaces fill up. Once you have applied, we will notify you if you are success by email, or phone call. After this, every successful applicant will have 3 days to make the payment to reserve your place, or it will be passed on. Please fill out the form below. All fields with an asterisk are compulsory. Your details will not be shared with anyone outside of the Masjid. Applicants will receive a pre-entry test to assign levels. This test should be conducted on your own, so we can put you in the best possible class. If your answer is yes, then which level did you complete with Al Ibaanah? You will be contacted by the masjid to confirm if your application has been successful – please await confirmation. Spaces will be limited and it is a first come first serve basis.